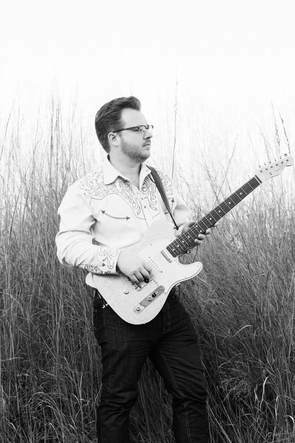 ​Since first appearing on stage in August 2017, Greg Gagnon (guitars), Leah Sproul Pulatie (guitars), Brian Werner (bass), and Jessica Salley (drums) have been delighting audiences as Cowtown Country Club with their sometimes surprising take on country and western executed with glittering guitars and 24-karat vocal harmonies. At once both deeply familiar and excitingly fresh, Cowtown Country Club is quickly gaining a reputation for their original interpretations of classic country and western swing, plus a signature brand of countrified re-imaginings of pop hits. Cowtown Country Club has performed on The Ink Stage for the Plaza Art Fair, the Crossroads Music Festival, Downtown Kansas City's Art in the Loop concert series, and Stage 5 at the Walnut Valley Music Festival in Winfield, Kansas. The quartet was also a featured band at The Overland Park Botanical Gardens Annual STEMS Gala, and have appeared at Westport Saloon, KC Bier Co, Martin City Brewing Co, Bier Station, Stockyards Brewing, for private events across the metro area and live on KKFI community radio. Greg “I can B-bend that” Gagnon is a Kansas City native. His philosophy is “If something is worth doing, it’s worth overdoing.” And by something, he means guitars, booze, and glitter. 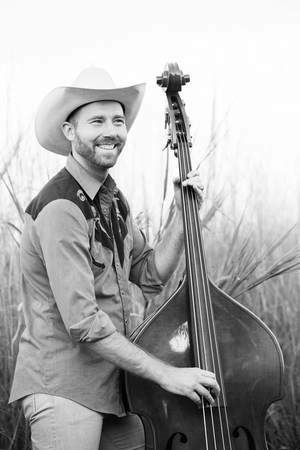 When he can pull himself away from tinkering on guitars and antique amps in the basement, Greg comes up with crazy covers and original versions of classic western-swing tunes for the club to play. 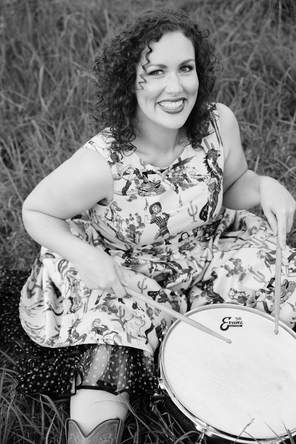 Jessica didn’t have to be dragged kicking and screaming away from classical music (she also sings with the Grammy Award winning Kansas City Chorale) to join the club, but she did need some convincing about picking up the drums. Now, she couldn’t be happier to lay down that western groove and sing songs that make you wish you had a beer to cry into. ​After kicking off her boots at the end of the night, Jessie stews up the wild duck she just shot out of the sky. Leah has been two-steppin’ and boot scootin’ since the tender age of seven, serving as an assistant line dancing instructor to her mom during the heyday of 90’s Country FM. 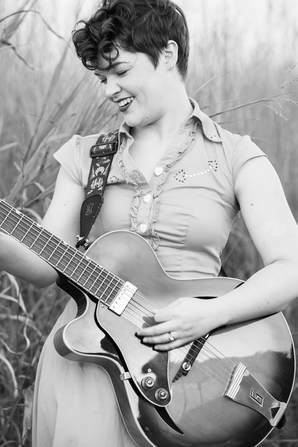 One of her childhood dreams was to one day sing with the house band at those dance halls, a dream that has finally come true with the help of the Club. ​She hopes you can join them out on the dance floor at one of their shows and might even show you a move or two. Despite being born and raised in the city, Brian's collection of pearl snap shirts suggested a different calling. When CCC was formed, he was (al)ready (dressed). This long, tall, Missourian brings the low end to the group, playing and singing bass.